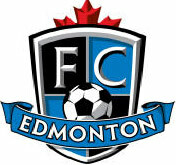 Victoria Soccer Club provides more information on our soccer club services in Edmonton, Alberta. 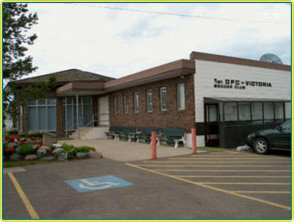 The Victoria Soccer Club has been dedicated to promoting amateur sport and culture in the City of Edmonton since 1951. Our Club has supported youth and senior sport at our beautiful facilities and has promoted our city by hosting a number of international touring teams and cultural groups over the years. I invite you to browse our website to learn more about our facility, our teams and our rich heritage. If you have any questions, or if you're in the Edmonton area, please don't hesitate to contact us at (780) 457-3759 or drop by the Victoria Soccer Club at 14025-142 Street. Call the office at 780-457-3759 or email vicclub@telusplanet.net for information on Soccer Registration, Hall Rentals and Field Bookings. An after hours message regarding field closure will be updated as weather conditions change. Information about the upcoming season will be coming soon! Our sports lounge is open every Monday evening, Friday evening, plus Sunday afternoon and evening! Come by, watch some soccer and enjoy the amazing cooking! Through the dedicated efforts of our founding members we have converted a 12.5 acre farmer's field to a landscaped recreational area that consists of four professionally maintained soccer fields, dressing rooms, outdoor seating for eight hundred people, ample parking, a Clubhouse, Sports lounge and an Indoor Soccer Field. Our objective is to provide our facilities for the enjoyment and recreation of the citizens of Edmonton and for visitors worldwide. Since its beginnings in 1951, the Victoria Soccer Club has grown to become, as recognized by many, the finest soccer facility in Alberta. As immigrants were coming to settle on Canadian soil, some of them were adjusting to their new surroundings here in Edmonton. Life for them was not easy. These people were experiencing loneliness and to some degree, a sense of emptiness. As time went on, somehow by faith alone, these young men seemed to have found each other. This small group of German immigrants being energetic and quick minded, soon discovered that they were all searching for the same thing. They missed playing the most popular sport, soccer, which was such a great part of their life back home in Germany. This small group found others were interested in becoming members of this team. The required number of eleven made the team they needed, making it possible to go further. They played and practiced wherever space was allowed to them. They met in private homes to discuss their concerns. Not having some permanency brought about difficulties for the team, nonetheless, for them, it was a new beginning and the Victoria Soccer Club, 1st D.F.C was born. 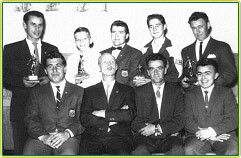 Despite obstacles along the way, the Victoria Soccer club team managed to face their first opponents at Clarke Stadium in 1952. The following three years were triumphant. 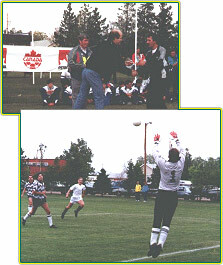 The team won the Alberta Championship and the City Championship. Three Dragroon Cups were won consecutively during that same period. Difficult times continued, some member's left, new ones signed up, optimism became the concern of the members as they did not know which direction to go. It was during this time a new players came into the team. He had ideas, he had a dream, and he had a vision and most of all he was a leader that the others were willing to follow. 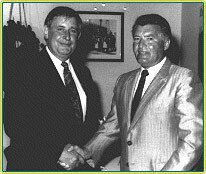 The man who was instrumental in the changes that were about to take place was Karl Weidle. Mr. Weidle felt it was urgent to have a place for the team. He scouted around for a piece of land and found something quite opposite to what would be considered desirable for a soccer field. The sight of the land was hard to bear âï¿½ï¿½ what are they to do with a slough? Touch times lay ahead. The land was purchased in 1964. The team with its stalwart few worked at their regular jobs during the day but found time evenings, weekends and whenever they could afford to help out at that slough. They hauled dirt by the loads and it took a long time before some progress was seen. While all that hard work was being carried out, this team still found time to play their beloved sport - soccer. 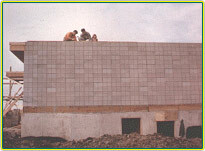 With the help of many volunteers fundraising events and other financial aid through donations, it was possible to carry on, to build, as time, money and energy permitted. Unknown to the group earlier, it was soon discovered that these young men had many talents and skills. They were willing to build onto the dreams that seemed impossible at the time. 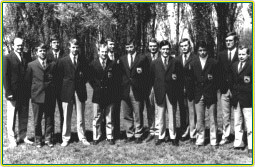 In 1966 the Victoria Soccer Club was officially opened. Big name soccer teams from countries as far away as Australia, Korea, Arabia, Germany, other European Countries, England and the United States have played on the Victoria Soccer Club field. It is no wonder that Karl Weidle expressed his comment, saying, "From a handshake, something and someone is known all over the world." As friendships were being built at this Club, the cultural traditions found a place also. Some German heritage is celebrated annually where the public is welcome to participate. Women members of this club placed a significant role. Their tireless effort, time, energy, skills, talents are entrenched in the success of this club. The history of the Victoria Soccer Club (Edmonton) 1st D.F.C., in the past six decades, is now the cornerstones of somebody's endurance of hard work and play. The hallmark of sixty years is beautiful landscaped fields, a magnificent display of trophies, plaques, cups and certificates; a great Indoor Soccer Center, Sports Lounge, Ballroom. Camaraderie and friendships are maintained and encouraged. Copyright © Victoria Soccer Club, 2018. All rights reserved.